There is nothing quite so beautiful and romantic as a sunset wedding. This one took place at the amazing Crescent Beach Club on Long Island’s north shore in Bayville, NY. 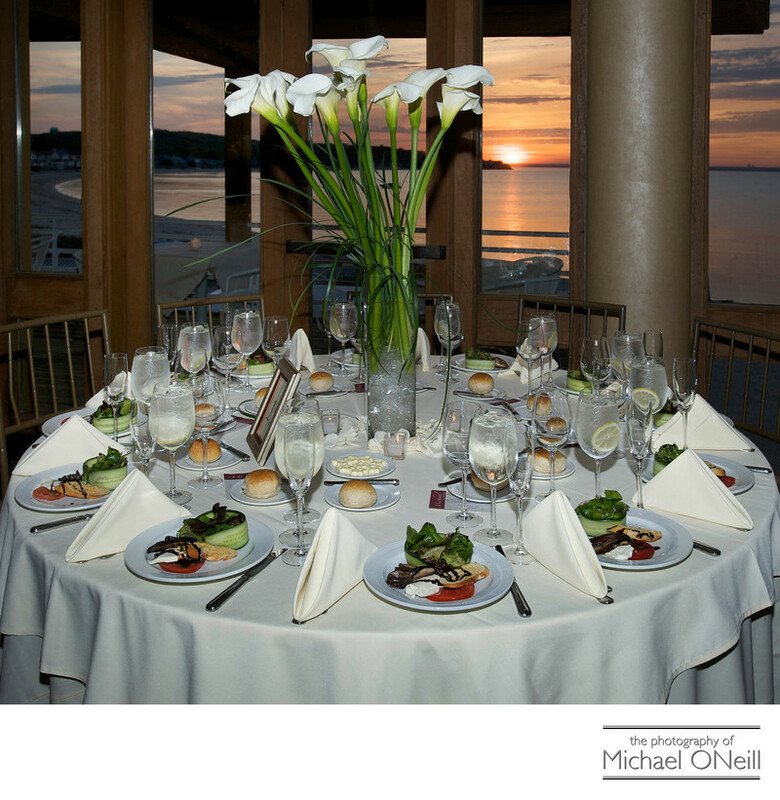 Overlooking the Long Island Sound the Crescent Beach Club offers elegant contemporary surroundings, fabulous food and impeccable catering services. Look around this web site and you will find more pictures from this venue including some spectacular wedding sunset photos taken on the private beach at this establishment. I love capturing all of the little details that make up a bride’s vision of her wedding celebration. In this single image we have preserved her floral centerpieces, choice of linens, food and salad selections as well as the overall ambience of this waterfront reception venue. The Crescent Beach Club is convenient to couples from Nassau and Suffolk Counties as well as brides stepping out from New York City (NYC) to host their special events. If you are planning a Crescent Beach Club wedding, or an event at any of Long Island’s beautiful waterfront catering establishments, give me a call. I’d love to talk to you about your plans for the big day and how I can be a part of it by being the wedding photographer entrusted with capturing and preserving your memories for a lifetime.